Our heavy duty hangrail brackets hold rectangular tubing on 1" slots with 2" centers or ½" slots on 1" centers on 1/8" thick recessed or surface mounted standards. The hangrail brackets pictured here are polished chrome fixtures. 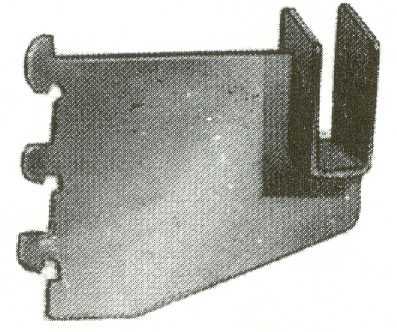 Available in several styles and lengths, these brackets and more are also available as standard brackets. Also see our selection of Standard Hangrail Brackets.